Top 15 Interview Questions and Answers for Nurses. If you are searching for “Interview Questions and Answers for Nurses” this page is all you need. Explore. An ancient Chinese proverb would say “the most important thing in life is been alive” and I would add mine that the most important job is to save life. 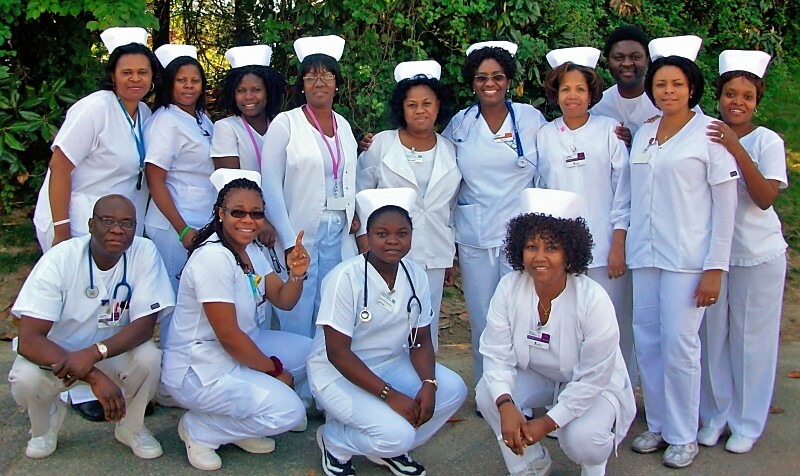 Being a nurse is a rewarding profession not just because of the money and attire involved but because of the impact and positive effect it has on people and the society at large. I mean what other job could be more prestigious and rewarding likes a job of saving lives? There’s a sense a joy that come with saving life. And due to the crucial and significant effect this job has and its involvement in human life, choosing a person for this job requires careful selection. When going for an interview as a nurse, should remember that working as a nurse involves interaction between you and a patient and so your interview question would resolve around those aspect, that is patient care and satisfaction so it’s very important that you pay attention on the behavior of your patient because majority of the questions will come from there. Try and remember past experience of patient you attended to and how they reacted. Before going for the interview, make sure you answer the question” why you choose the nursing profession and why do you find the job interesting” you should also do a brief research about the place you are applying to, know some little things about the place. Working as a nurse would involve working with teams, so try as much as possible to know people you will be working with like the hiring manager, doctors, other nurse and administrative staff. In this article, I will be revealing top 15 questions and answer. 1. What’s Your Reason for Being a Nurse? The first question you might be asked, would center on your interest, what’s your reason for being a nurse? This question sounds very easy but it’s actually technical and this is where you should actually build your ground and make them more interested in you. One mistake most people make in this stage is that they go too personal which is not really the best approach. You must not use my example exactly the way it is, just look for a sad event and then link it up to the question. The trick is using emotion to answer the question. 2. What You Find Rewarding About this Job? This is another technical question and most people fall prey to it. Don’t ever mention the monetary reward or the retirement benefits. Let your answer center on others not you. Your answer should center on your patients. For instance your answer should look like this “I love helping people. I could recall a time when a little boy was at the verge of dying. He was so good boy. And after series of operation, he became well again. I was very happy that I could reach out and help him that gave me joy. What I find rewarding about this job is that I can save life. 3. How will you Deal with someone who is not Satisfied with Your Patient Care? Now this is a behavioral question which will require a brief explanation of how you would handle issues when they arise. To answer this sort of question, use pass encounter and experience.. For instance, think of a situation that happened before, a situation when someone was not satisfied with your work and how you handled it. 4. Tell Me What Your Greatest Skill is as a Nurse? 6. Are You Comfortable with Working with other Doctor and Nurse? 7. What Do You Fine the Hardest Part About Been a Nurse? 8. Why are you the Best Nursing Candidate for this Job? This is yet another trick question that people get wrong. Remember it’s not asking you the number of siblings you have, your likes and dislike or your life history. Is simple means telling the person interviewing you everything and every good quality about you as regards nursing. Tell them how you love helping people, number of years you’ve been working as a nurse. 10. Why are you Leaving Your Current Position? Don’t say it’s because of the money. That would be an awkward answer. I know the money aspect is one of the reason you are applying for job but don’t say it. Focus on the impact the current position would have on you, your goals and vision and how you intend achieving it through this company. 12. How Would You Deal With a Doctor Who was Rude? Always be careful when answering questions like this. Your answer should not be sentimental or judgmental. Rather you could tell the interviewer that you would endure with the doctor because there are certain factor that can contribute to a person been upset or rude, so tell him you would you would endure but if it persist, you would report the issue to the appropriate authority. 13. Described a time you had to deal with a difficult patient and how you handled it. 15. Do You Have Any Question For Us? You should ask the hiring manager questions but it must be an intelligent one and it must be a relevant one too. Don’t just ask any question, ask relevant questions. To make it easier for you, you can write the question down before coming for the interview.